I'm Here. I'm Queer. What the Hell do I read? : The Inauguration of President Obama: A Place At The Grown-Ups Table for Gay Americans! *If you're 12 or under, it's not legal for anyone to collect your e-mail address. You can subscribe to this blog in a reader and follow me on twitter to get much of the same information, just not put together in tidy packages. But heck, if you're 11 or 12, you already know that life isn't always tidy. Thanks! A Children's Book Council's Diversity Committee's "Great Diversity Blog"
"...the perfect website for young LGBT readers." Now on Dow Jones Factiva! Voted Best GLBT Book Blog for 2009 and 2011! Damned Strong Love: The True Story of Willi G. and Stefan K.
I'll Get There. It Better Be Worth The Trip. Top 10 GLBTQ Moments in Comic Book History! Picturebooks I Wish Had Been Read To Me When I Was A little Kid! Nerds and Jocks in "Game Changer"
Here's A Printable & Downloadable List - Think of it as a Sampler! Sock It To Me, Santa! Where Are The Gay Parents In Children's Literature? The Inauguration of President Obama: A Place At The Grown-Ups Table for Gay Americans! Remember Thanksgiving family get-togethers? Being stuck at the kids table? No fancy place-settings? Eating off paper plates? Well today, with the inauguration of President Obama, we GLBTQ Americans get to sit at the BIG table. Hope. Served up warm and sunny. Here's hoping the rest of the meal is as yummy! For Thanksgiving, I actually liked sitting at the kiddie table and was very sad to leave. But for the sake of the metaphor, yes, it's good to see a seat added to the big table! Love the photo! Did you do that yourself? That line was my husband's favorite part of the entire speech, I think. 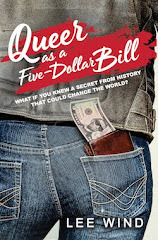 "Queer as a Five-Dollar Bill"
What if you knew a secret from history that could change the world? Gay Teen Books, Culture, Politics, Social Justice, Equality, GSA Info... and More! Yes, "Gay Teen" includes Gay, Lesbian, Bisexual, Transgender, Questioning, Queer and Gender Non-Conforming Teens! And of course, Allies are welcome! 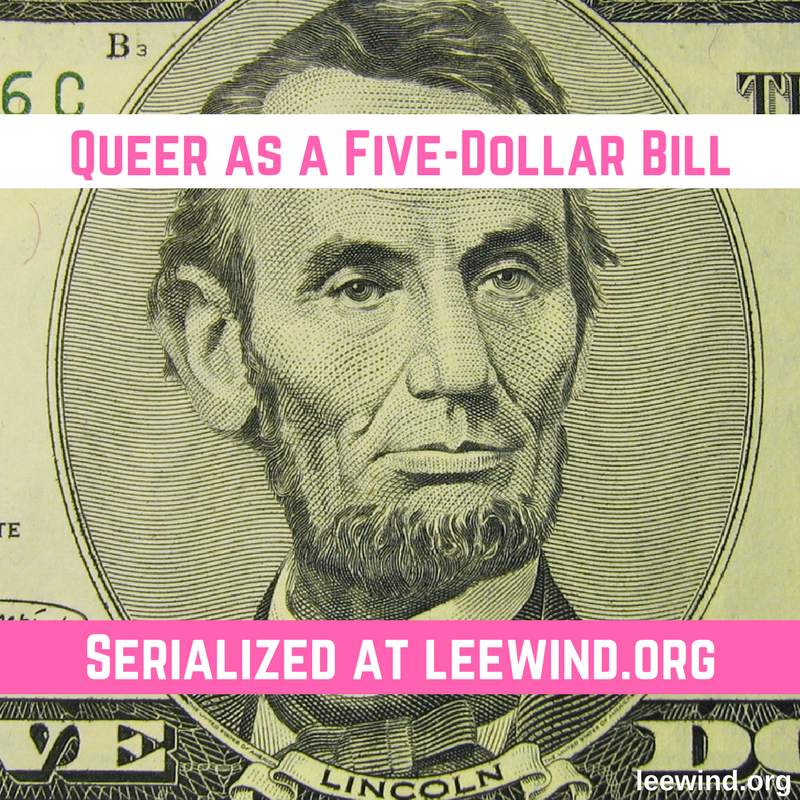 Lambda Literary Festival - panel on Crowdfunding Queer Lit and reading - online Oct 1. Register here. Star Style Radio Show with Cynthia Brian - Lee featured guest on October 3 program. Listen here. ALA Annual in Washington, D.C. Agents Looking For Diversity: The Interviews! End Bullying And Smash Stereotypes! Episode #05: "Bisexual" & "Pansexual" - what's the difference? Episode #25: How Gender Non-Conforming Are YOU? Episode #33: Benji, Nenu, Emmi and BJ on being "Enough"
Brent Hartinger Says It So Well! Dan Savage and his husband Terry tell GLBTQ kids and teens "IT GETS BETTER!" Dustin Lance Black accepts his OSCAR for "MILK"... and has a message for Gay kids Today! Q & A (Queer and Asian Pacific-Islander) Space - Coming Out Stories! Hurray!! MUSE debuts at #2 on the NYT bestsellers list!!! Aerin is "In Search of Giants"
Amazing Queer Poetry So Far! Who's The Artist Who Did My Amazing Logo? If You Believe In Mermaids... Don't Tell. GSA Monday Topic: "No Homo"
Don't see your favorite Book here? First do a search in the top left search box. Then check my "Books Still To Come" list. If you still don't see it, just click on "Contact Me" and leave me a note. I appreciate all your help making this blogsite a comprehensive resource! Also, when you've read one of the books listed, help other visitors out by adding a review. Submission Guidelines: If you are an author or publisher, I do not generally accept review copies, since I don't really review the books featured on this blog - My goal is to let readers review them. All I need is a synopsis (including what's significantly GLBTQ about the book - so I know why I should include it here), a link to the author website or some online info or interview with the author, and the book's release date (as I don't post on books before they are available to the public.) Please make sure to include your contact info so I can follow up with you! Disclaimer: Having said that, some of the books discussed on this blog may have been provided by the author or publisher. While some Links when you click on a book cover image will take you to a bookstore online (as one option of how you can get the book), I do not currently have any commission or credit arrangement for linked purchases. The opinions expressed on this blog, unless they're a comment from someone else, are my own.